You will be the face of the company ! 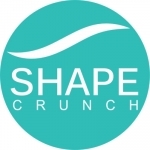 - The basic role is to be a link between alliances + patients and production team of Shapecrunch. - Ensure quality check before shipping of product and ensure production team meets the deadlines. - 40% Supporting customers by attending calls and managing their appointments.